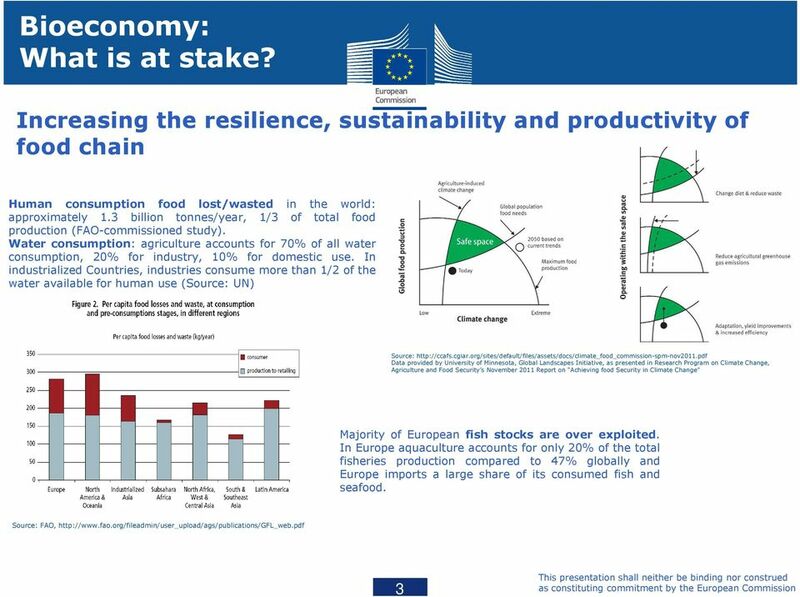 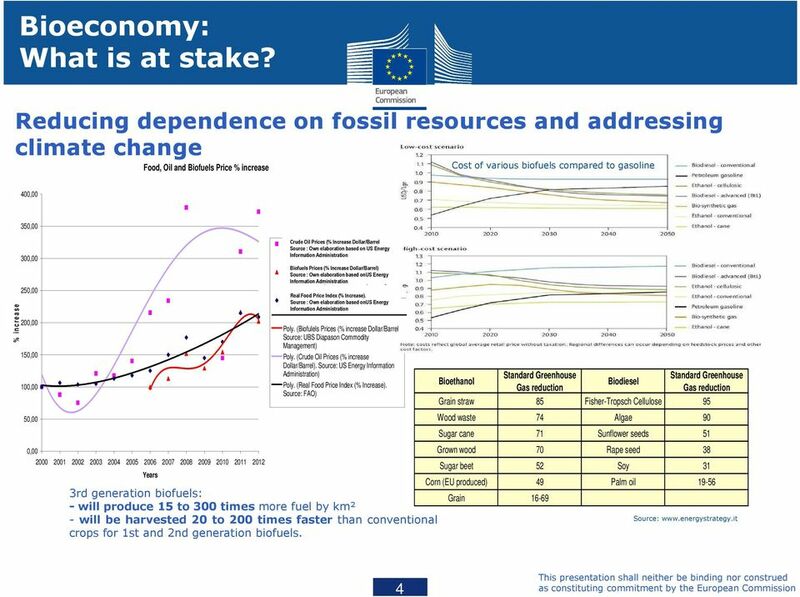 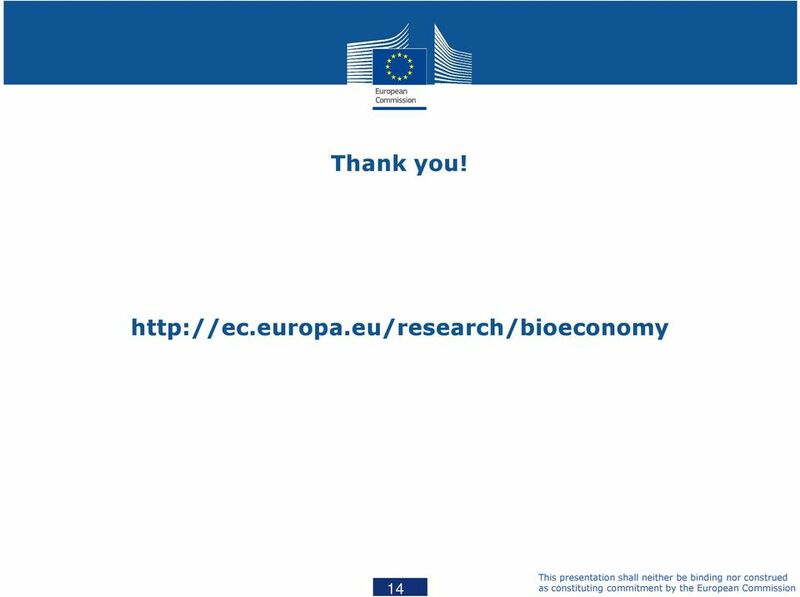 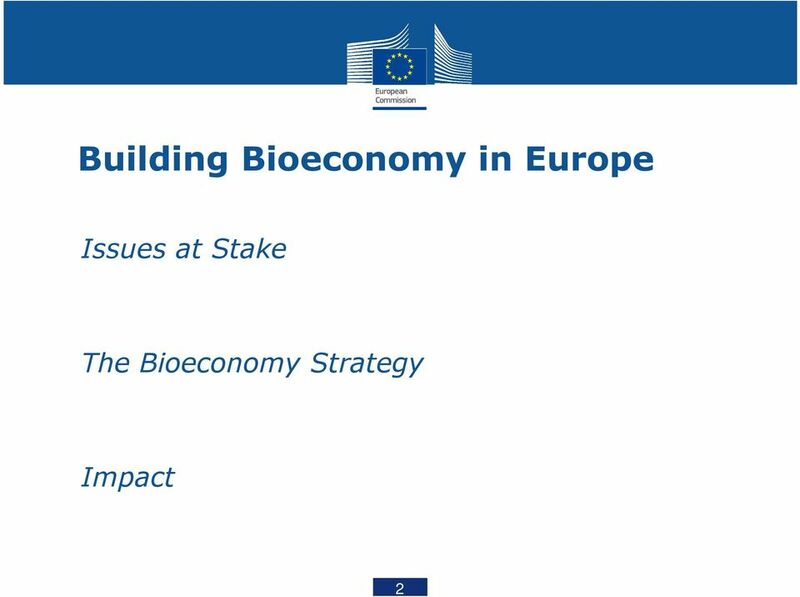 Download "Antonio Di Giulio Head of Unit E1 Directorate-General Research & Innovation European Commission"
5 Bioeconomy: What is at stake? 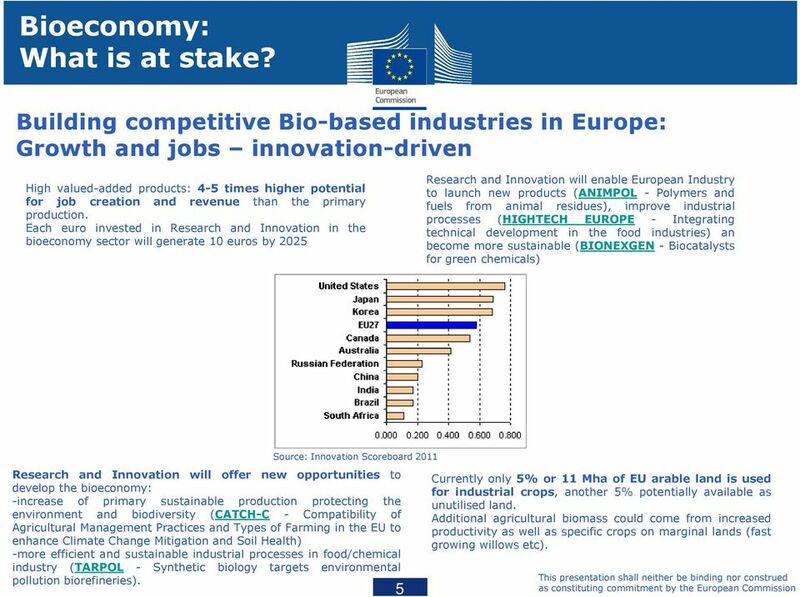 Building competitive Bio-based industries in Europe: Growth and jobs innovation-driven High valued-added products: 4-5 times higher potential for job creation and revenue than the primary production. 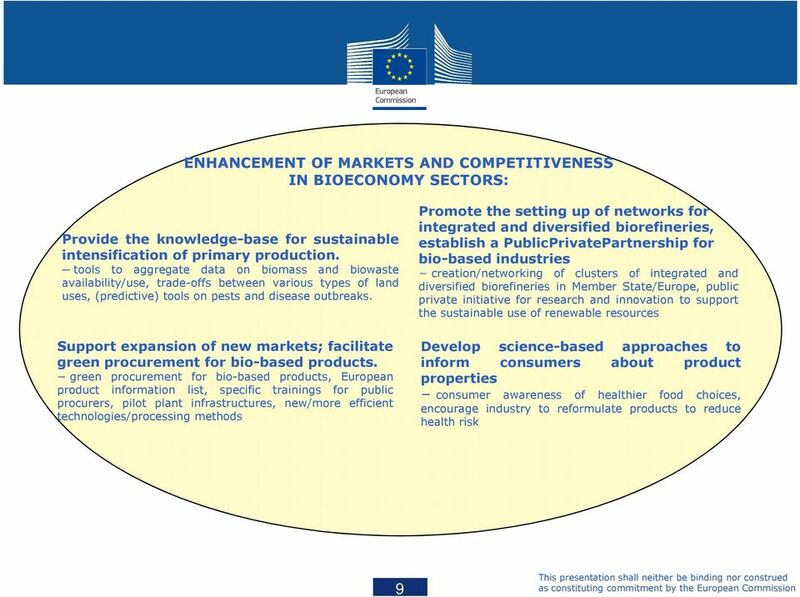 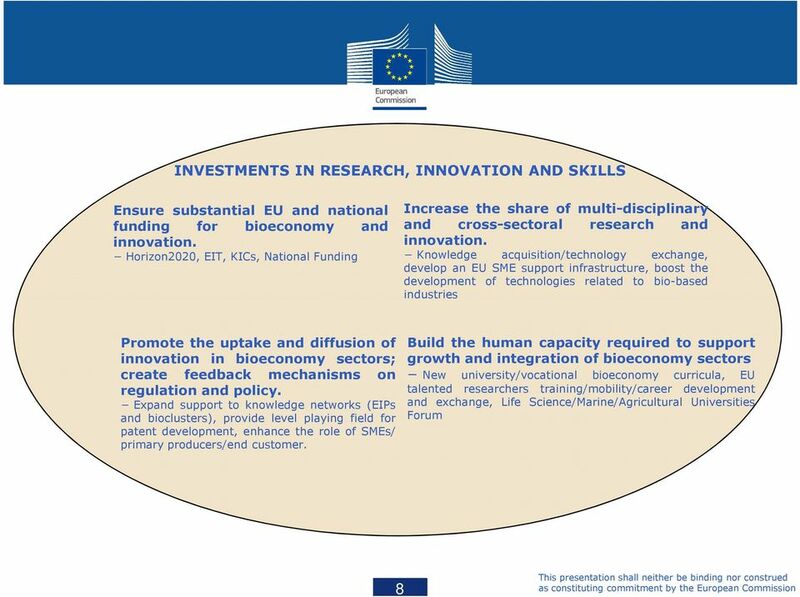 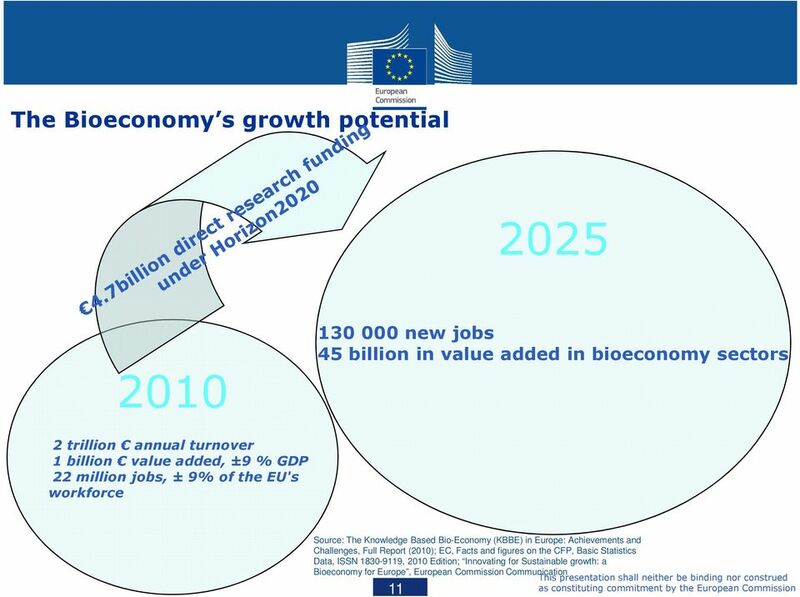 Each euro invested in Research and Innovation in the bioeconomy sector will generate 10 euros by 2025 Research and Innovation will enable European Industry to launch new products (ANIMPOL - Polymers and fuels from animal residues), improve industrial processes (HIGHTECH EUROPE - Integrating technical development in the food industries) an become more sustainable (BIONEXGEN - Biocatalysts for green chemicals) Source: Innovation Scoreboard 2011 Research and Innovation will offer new opportunities to develop the bioeconomy: -increase of primary sustainable production protecting the environment and biodiversity (CATCH-C - Compatibility of Agricultural Management Practices and Types of Farming in the EU to enhance Climate Change Mitigation and Soil Health) -more efficient and sustainable industrial processes in food/chemical industry (TARPOL - Synthetic biology targets environmental pollution biorefineries). 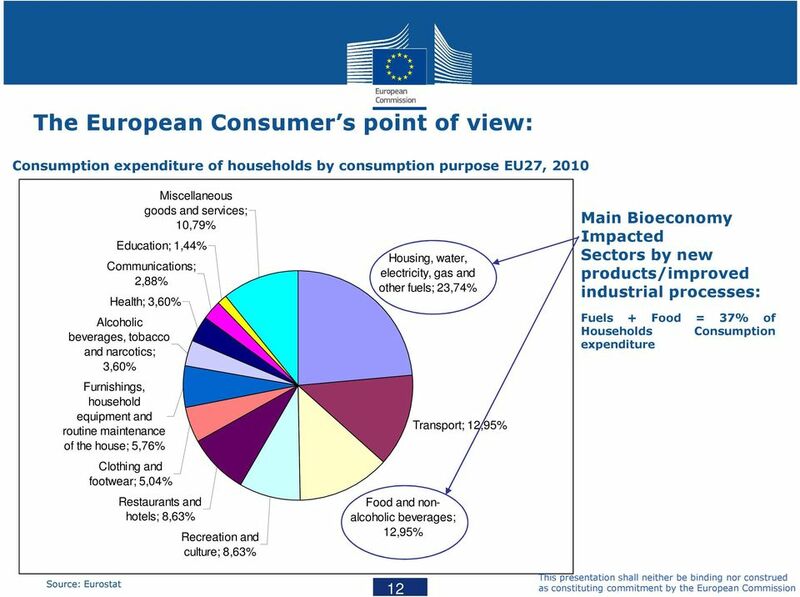 5 Currently only 5% or 11 Mha of EU arable land is used for industrial crops, another 5% potentially available as unutilised land. 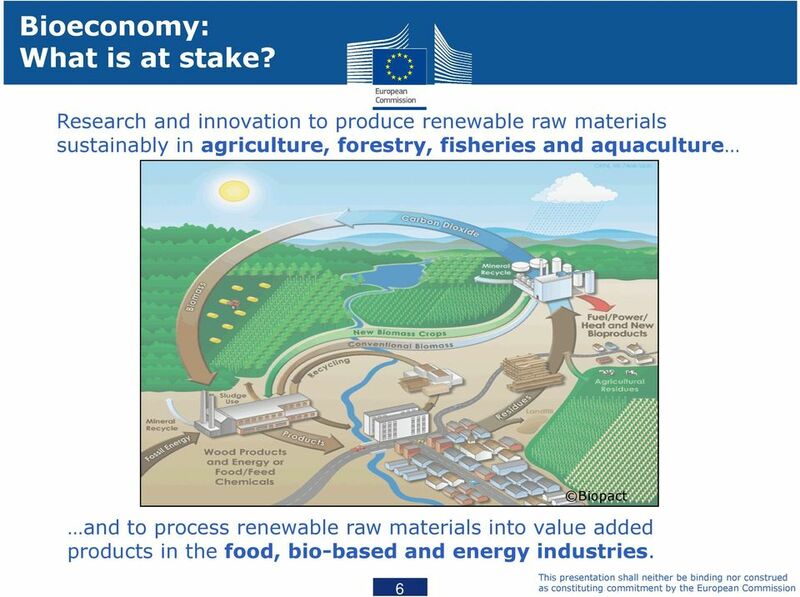 Additional agricultural biomass could come from increased productivity as well as specific crops on marginal lands (fast growing willows etc). 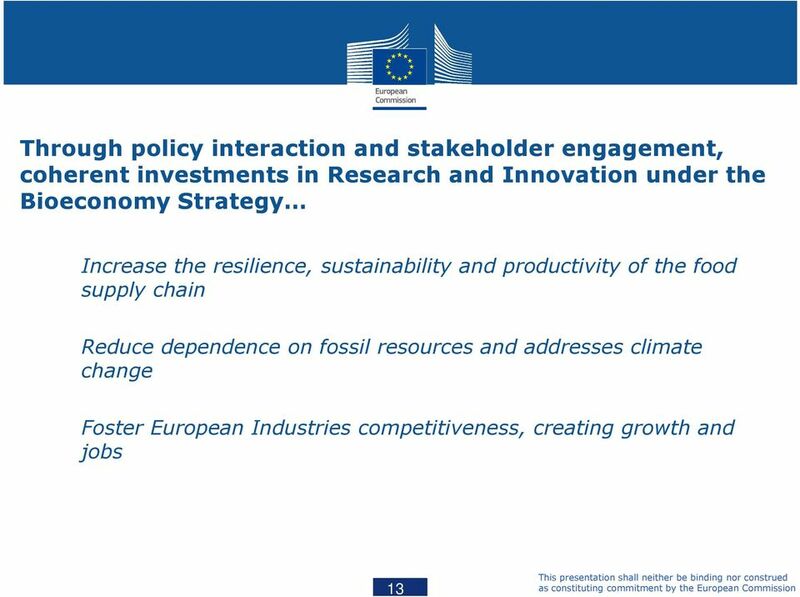 PRACTICAL STRATEGIES FOR IMMEDIATE PROGRESS ON CLIMATE CHANGE BUILDING BLOCKS FOR A GLOBAL AGREEMENT Forging an effective response to climate change is one of the international community s highest priorities. 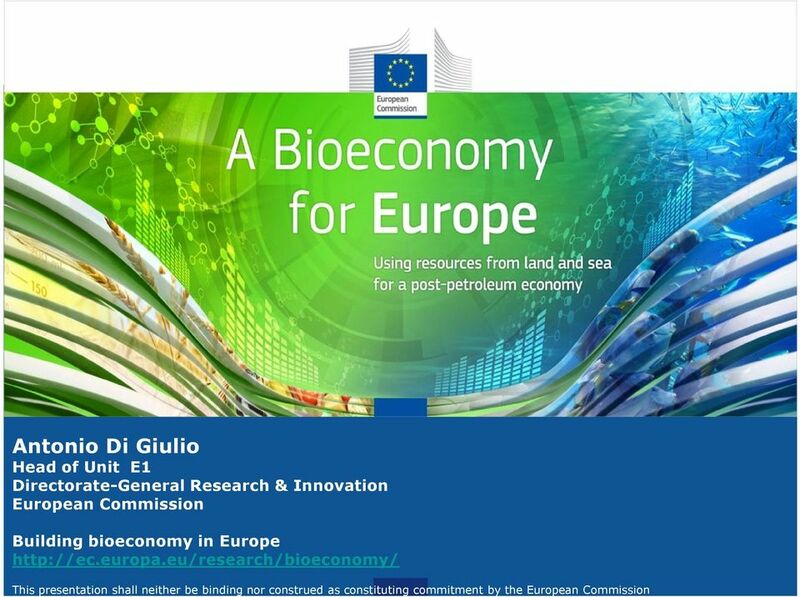 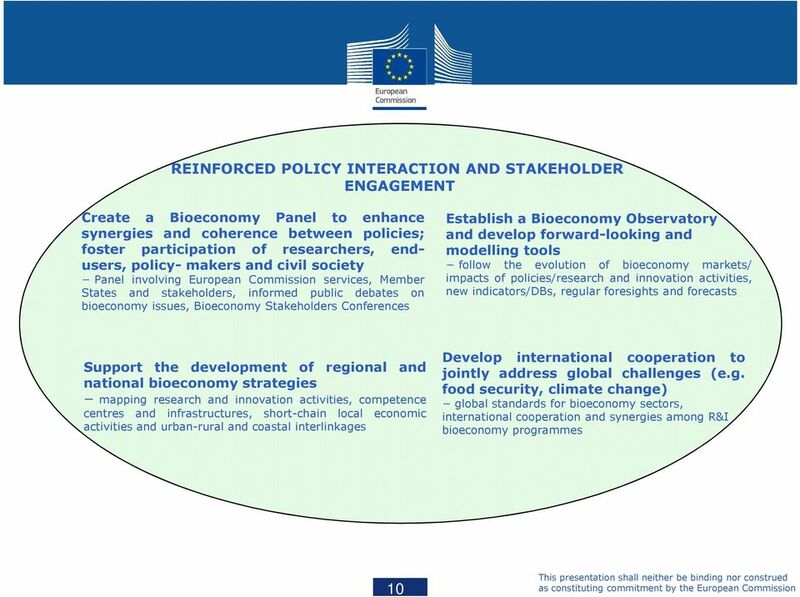 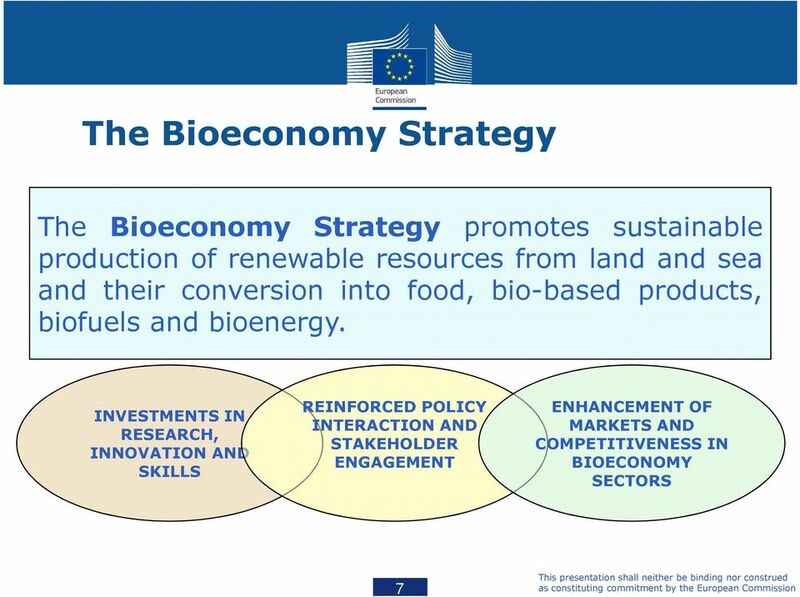 The BioEconomy: an Opportunity for Europe!